This tool is a DLL library that can be used from any trading development application, such as MetaTrader and TradeStation. 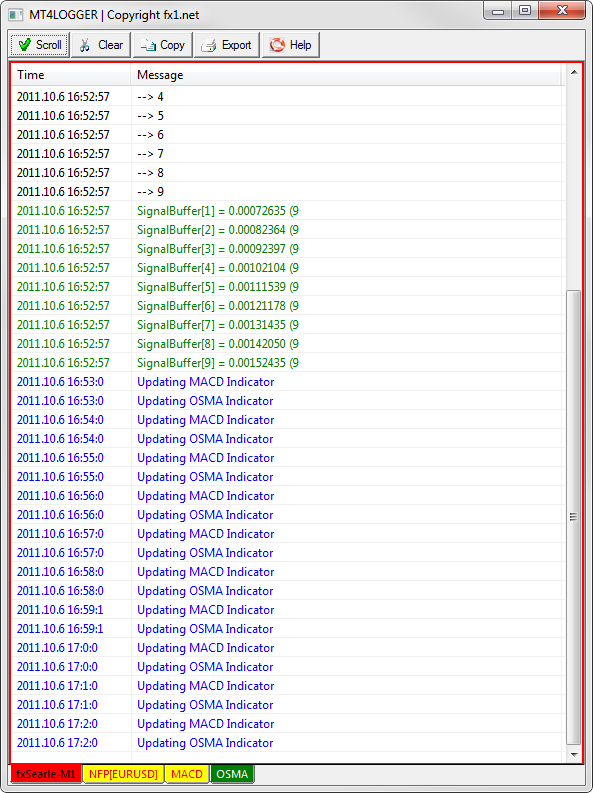 As you know, MetaTrader4 has limited debugging capabilities. For complex system product development, it's simply one of the best debugging tools on the market. Currently, MetaTrader4 doesn’t support stop placements or line-by-line viewing. The only way to perform a debug is to display variables onscreen or to use the Print() and Alert() functions. 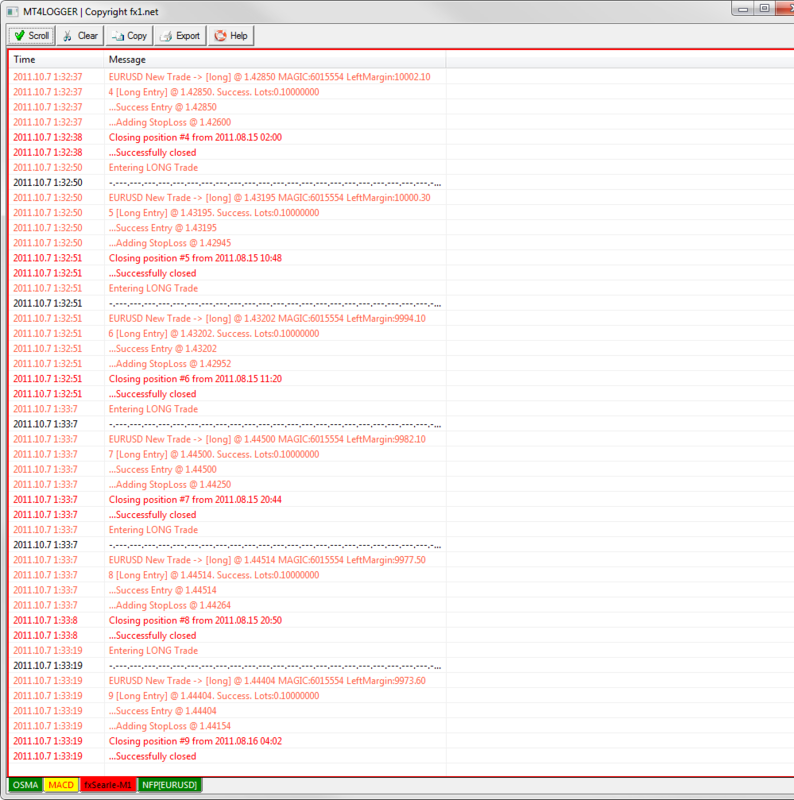 However, since Alert blocks ticks, it can’t debug. Print can debug, but its output is inside the Terminal window (along with the outputs of every other process). To solve these issues, we developed an easier way with MetaTrader4 to debug Expert Advisors, Indicators, and scripts. MT4Logger is an effective tool that can simplify the entire process. Old and new versions are compatible with any language (requires the ability to install DLL files for your platform). 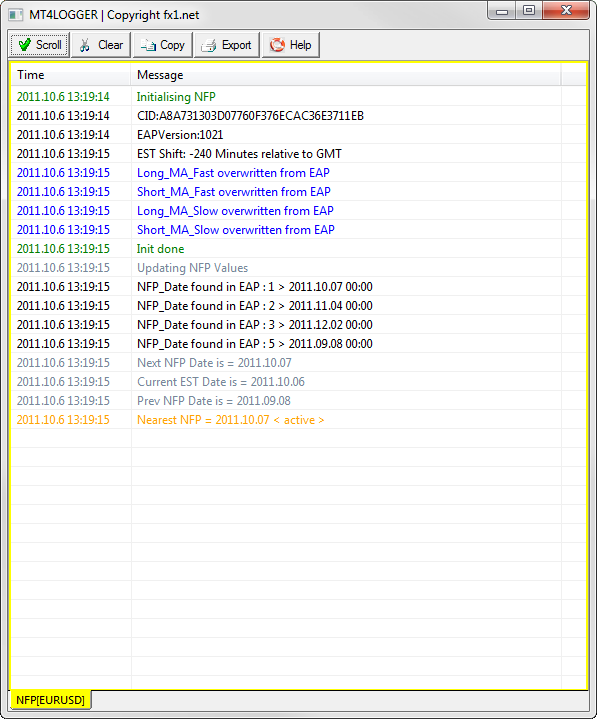 MT4Logger is freeware, so users can embed it anywhere. NO CHARGE. Installation may vary by application. DLL files must be placed in an application’s DLL include path or the Windows’ DLL include path; for example, the 64-bit shared library include path is %windir%\SysWOW64. In MetaTrader4 (builds 0600 and below), the library path is %MetaTrader4%\experts\libraries. In TradeStation, the include path is %TSPATH%\Program\. You may need to enable DLL execution because it's sometimes disabled by default (for security reasons). This tool was released as a DLL, so you’ll need to enable DLL Execution. This function closes the handle. Use the inside deinit() function of MetaTrader4 to perform a cleanup. It’s recommended not to forget this function. Here we can connect to the content. In defined colors, this function adds a line to LOGGER. If enabled, added lines will auto scroll with timestamps that follow the computer’s local time.